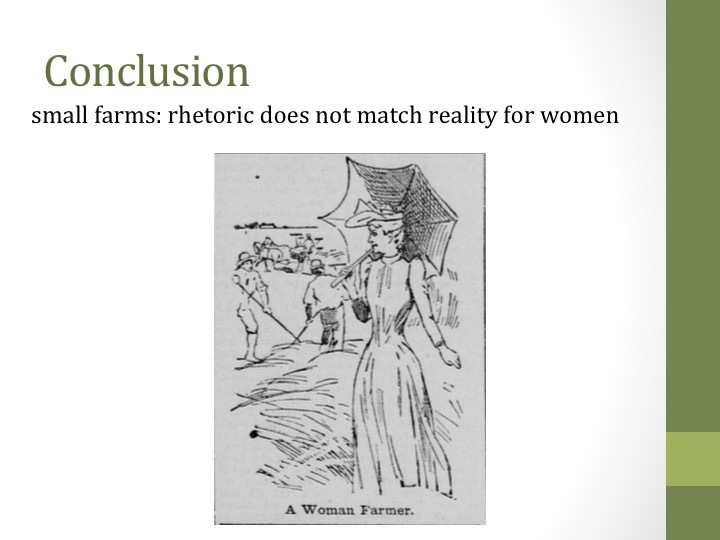 The following images are Powerpoint slides (edited for clarity) from my presentation at the Digital Projects Lightning Round at the American Historical Association Annual Meeting, Atlanta, Georgia, January 7-10, 2016. 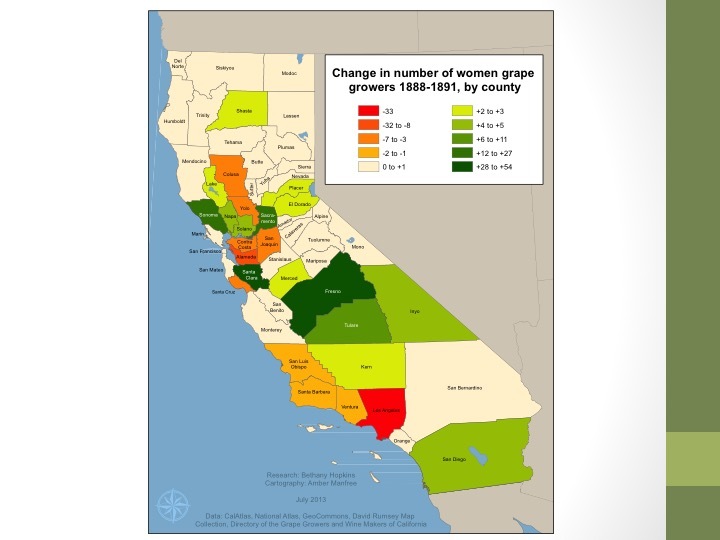 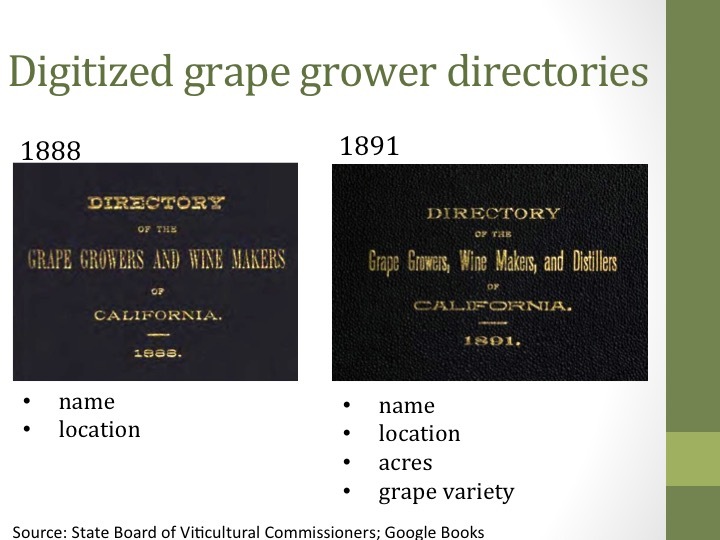 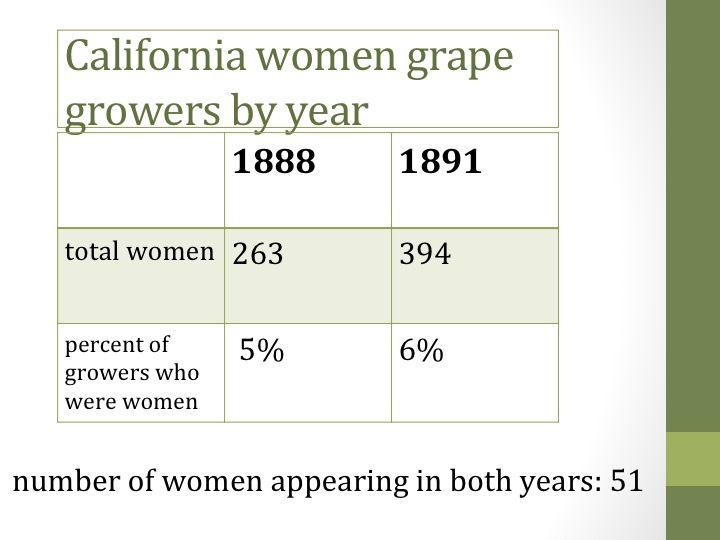 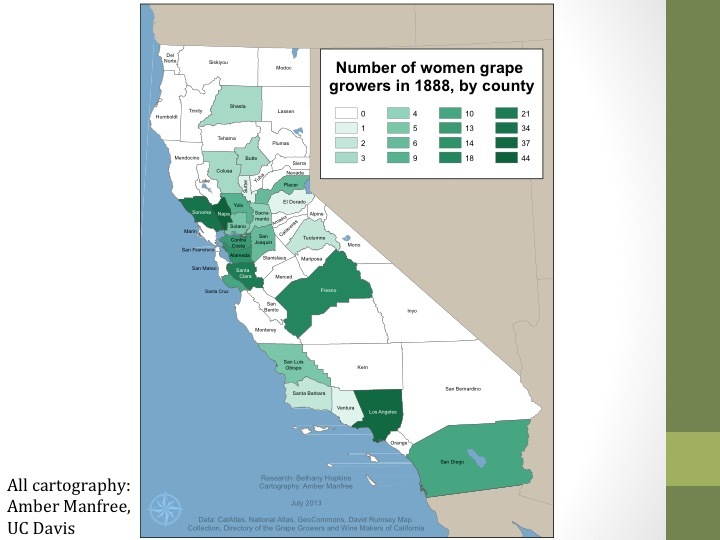 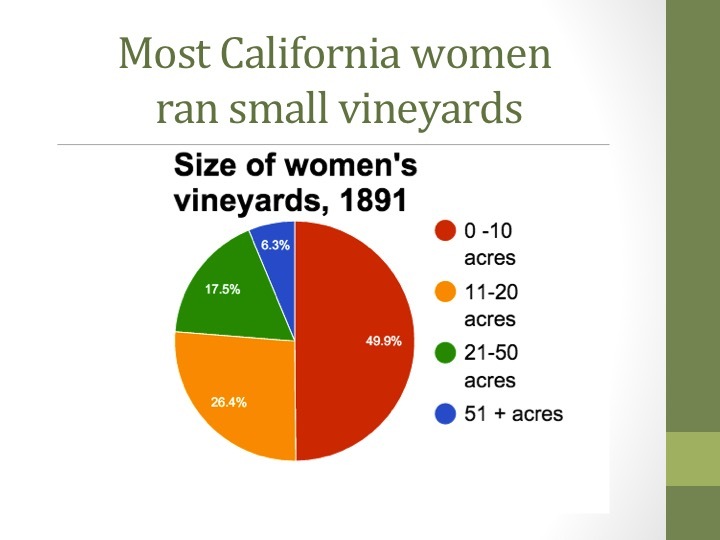 This project uses GIS mapping and data visualizations to examine the expansion of woman-run California vineyards in the 1880s-1890s. 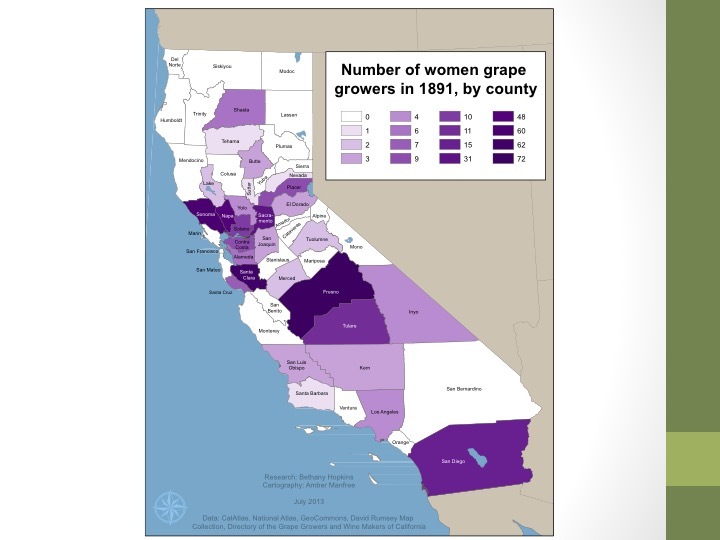 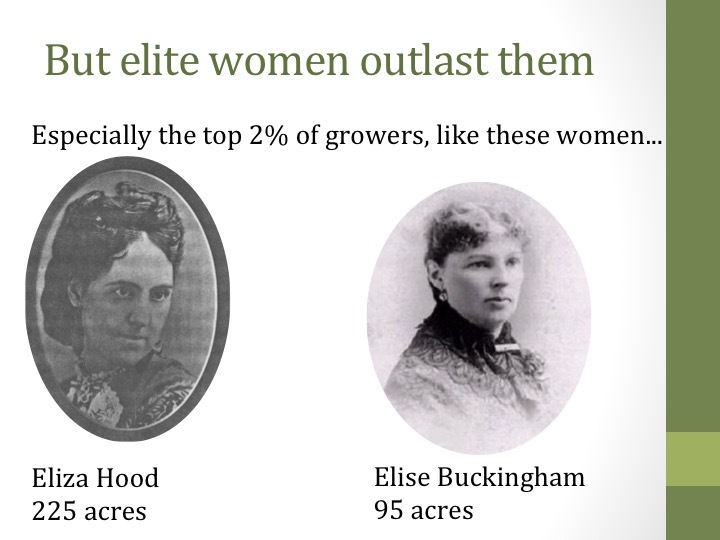 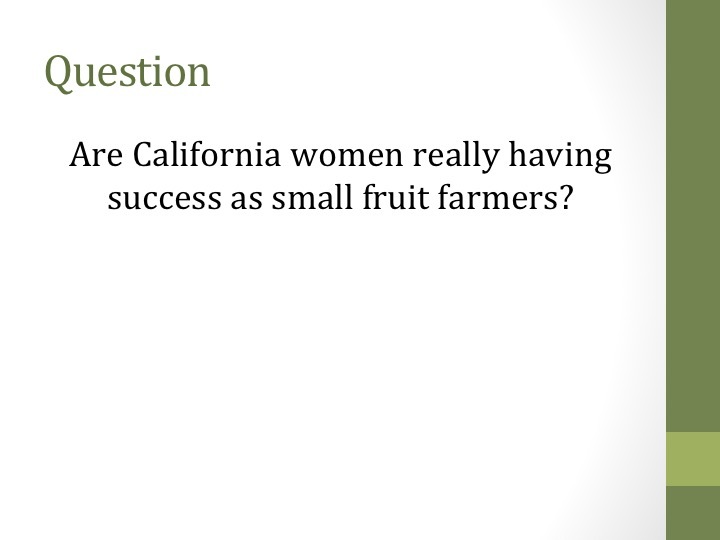 In collaboration with UC Davis postdoctoral researcher Amber Manfree, I use maps to reveal how female farmers thrived in northern and central counties but not in southern ones and suggest reasons why. 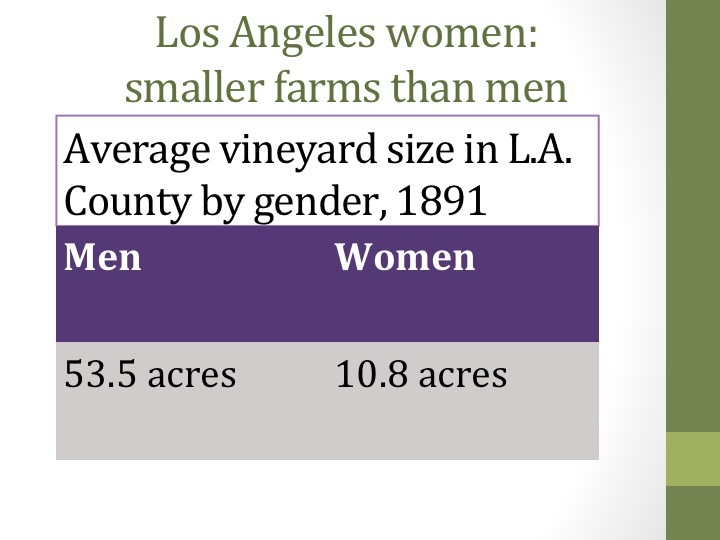 I also use visual data to illustrate how the small size of women’s farms correlated with farm failure. 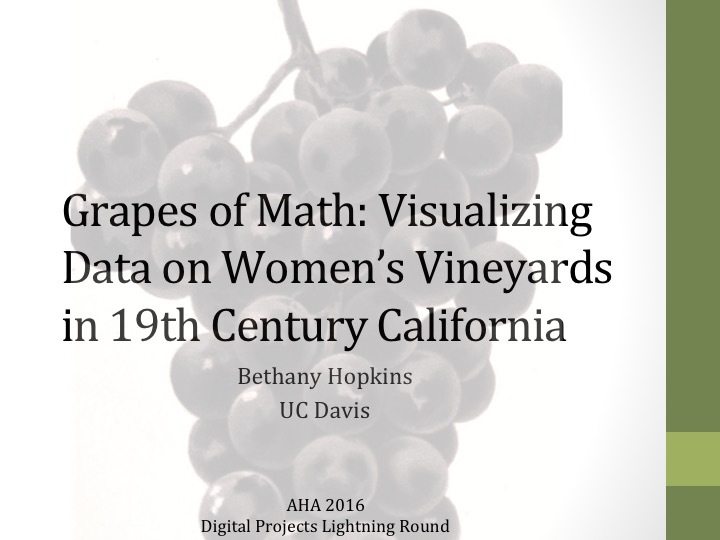 Both methods reveal useful digital analysis tools for women’s historians.